A new app for Google Glass provides text captions from the spoken word. 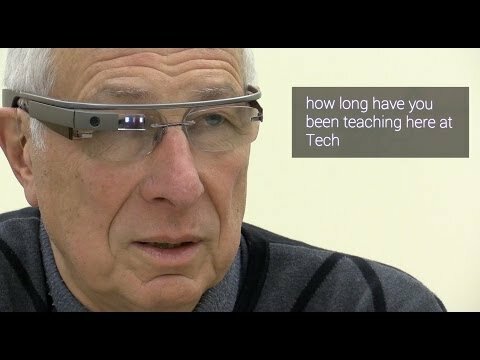 CNET says the idea for the app came from School of Interactive Computing professor Jim Foley, who has had trouble hearing; as a result, a team at GIT created the software and then made it freely available for other Glass wearers. In the demo, it appears to caption the spoken word quite accurately and fast. There is a small delay between the phone and Glass, but it’s still impressive. Google Glass is still a beta product, and at $1,500, an expensive one. How to use it beyond the native features of notifications, communications and picture-taking is something that’s still evolving. It’s going to take a wider range of high-value applications to boost demand for Glass; Captioning on Glass is surely a good example of one.